Recipe published in Feb/Mar issue of “Taste of Home” magazine. 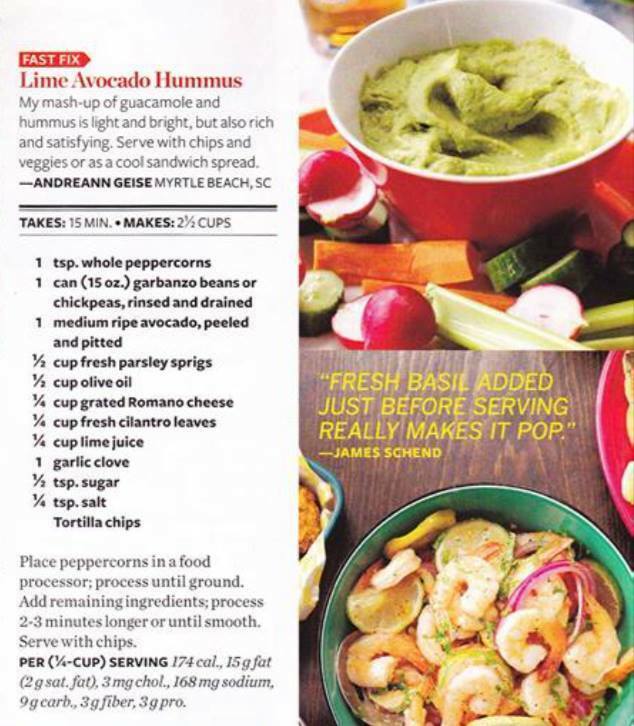 Click to make it larger and let us know if you make the Lime Avocado Hummus recipe! We think it’s tasty for an appetizer any day and especially on game day!